Jaya Devi and I will be joined by Integral Yogis from Sweden, Finland, Norway, Denmark, U. K. and others to share and enjoy the deep heart meditations, heart-centred Hatha and heart rest of Heart Of Living Yoga. 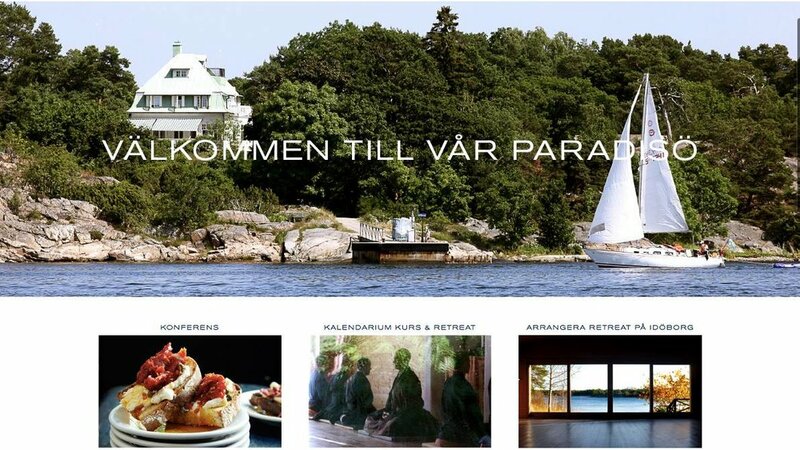 On this retreat we will marry my 2 favourite traditions ... Integral and Heart Of Living in the Summer of the Heart retreat in Sweden! If you feel called to come and join us, please contact Jackie, the amazing organiser, as detailed below. Reverend Padma Devi Sumananda will be leading us in a four day retreat with the theme: "SUMMER OF THE HEART". Rev. Padma is the Chair of Integral Yoga U.K. and Founder & President of Heart of Living Yoga Foundation and she will be accompanied by Jaya Devi Santosha, a Heart Of Living Yoga teacher. Rev. Padma and Jaya Devi will share with us beautiful heart-centred Hatha Yoga, Heart Meditations & Heart Practice, Heart Rest restorative yoga, Deep Relaxation, Satsang, Kirtan and much more, with the opportunity for many talks & discussions. You will have the use of the retreat centre’s sauna and of course, full access to enjoy the beautiful nature of this peaceful island. Mats, blankets, meditation cushions and props will be provided. For accommodation, you will be able to choose between single, or double rooms tastefully designed to match the archipelago lifestyle. All meals will be Vegetarian/Vegan Cuisine. EARLYBIRD PRICE UNTIL APRIL 8! 5500 SEK / 540€ / 470£ per person for a single room. Padma is currently serving as the Chair of Integral Yoga U.K.. She is an Integral Yoga Minister, Integral Yoga Teacher Trainer and International Yoga Teacher. She is also the Founder & President of her yoga charity, Heart Of Living Yoga Foundation, which trains yoga teachers and helps the poorest children in different parts of the world. Padma is a much loved teacher by all who have had the opportunity to work with her. She lives a life of loving service to all and is a direct disciple of Sri Swami Satchidananda. Rev. Padma regularly leads retreats and satsangs and offers workshops, classes, seminars and teacher training courses in the U.K., Europe and around the world. She is also blessed to give Mantra Initiation and spiritual names,as well as to perform other ceremonies such as weddings, baby blessings and celebrations of life.